Create professional proposals and all necessary documentation and forms to present to the potential client to bring the job to installation completion and beyond: make purchase orders for related materials, provide precise instructions for production and installation, document the contractor warranty period, provide for an inspection schedule during warranty, initiate an automatic advisement when the warranty period ends, document a plan for maintenance going forward, provide scheduled routine maintenance as agreed, and enter the service information from the location site for invoicing and record keeping. 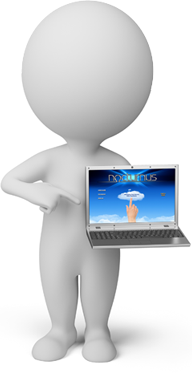 Generate nearly instant reports for a variety of categories of jobs that have been entered into Nocturnus, such as lists of accepted, not accepted, completed, not completed, serviced, and not serviced jobs. All may be confined by employee, dates, minimum price, and zip code and may be printed, exported, and e-mailed. Generate, review, and export a customer reference list. Generate, view, and export a list of suppliers, manufacturers, and products used. Review all product purchases confined by a date range or a manufacturer. List all purchase orders by manufacturer within a specified start and end date, or list only those purchase orders that are still open. Generate a list of services scheduled to be completed each month. This begins with designating the company warranty duration at job completion, during which a specified number of complimentary service inspections may be provided. At the end of this period a meeting with the customer will determine the desired service frequency and the acquisition of a Service Maintenance Agreement (SMA). At the beginning of each month, Nocturnus automatically advises of those customers coming out of the company warranty period and in need of an SMA. As a means of accountability, view a report of locations which do not yet have a service record entered. Additional reports will display all serviced locations by zip code, optionally filtered by service frequency; all locations with or without an SMA; and a report of completed services with start and end dates, with the option to constrain to a specific employee who provided these services or to a specific location where the services were provided. As-built drawings and other job production information is accessible to the serviceman for each location if needed. These and many other Nocturnus features will drastically simplify life as a business owner and manager, knowing data is safe and reporting is accurate. Nocturnus brings business data into the digital age, and with it brings an advanced overall knowledge of the business operation, inside and out, with its powerful, insightful reports. It will be hard to imagine running an outdoor lighting business without it. Use the below form to find out more or apply for registration for Nocturnus.